Training specialist maths teachers for primary and intermediate level in new teaching models would improve Kiwi kids’ results more effectively than focusing on memorising times tables, says a Massey University maths teaching expert. 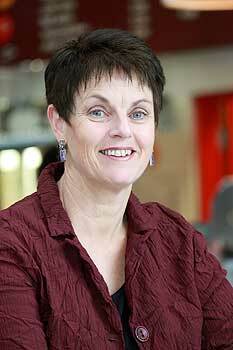 Professor Glenda Anthony, who is championing an innovative approach to mathematics teacher education in a three-year government-funded research project, says maths teachers need to take a balanced approach by ensuring students understand mathematical concepts and structures, as well as remembering basic facts. She was commenting on the results of the Trends in International Mathematics and Science Study (TIMSS), in which New Zealand nine year-olds scored last-equal in basic maths, with many unable to add or subtract simple numbers. The results prompted Education Minister Hekia Parata to consider a return to a back-to-basics approach, it was reported. Professor Anthony, co-director of the Centre of Excellence for Research in Mathematics Education at the University’s Institute of Education, says it was a concern that New Zealand’s students showed a decline in mathematical performance as measured by the recent TIMSS results. “But suggestions that we should prioritise basic facts learning ahead of understanding and exploring the wider mathematics curriculum areas are misguided,” she says. “We need to aim for a balanced approach that supports learners with multiple strands of mathematical action—understanding, fluency, problem solving, reasoning, and confidence. Countering underachievement in mathematics is challenging, and one that requires new teaching models and resourcing, she says. She is working with 75 primary school teachers to develop new skills, and believes children at intermediate level especially would benefit from having specialist maths teachers. The inquiry-based model she has researched is widely favoured in most Western countries. But teachers require greater opportunities for professional development in maths education, something the New Zealand education system does not provide enough of, she says. She and colleague Dr Roberta Hunter have had success in raising achievement in low-decile classrooms, where children work on mathematical problems tasks collaboratively, with teachers “orchestrating” mathematical discussion and reasoning to enhance understanding. Dr Hunter is currently working with schools in Pasifika communities in Auckland to develop inquiry and group-based mathematical practices – a method based on her doctoral research and endorsed by the Ministry of Education, and which has produced significant improvements. Next month she travels to Singapore to work with their Ministry of Education to introduce the programme there.